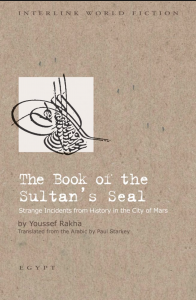 Youssef Rakha is the author of The Book of the Sultan’s Seal: Strange Incidents from History in the City of Mars. Cairo where Rakha lives and works, is at the heart of much of his work. His vision is particularly interesting in the light of the Egyptian revolution. It echoes the general dissatisfaction that preceded the uprising and paved the path to the downfall of President Hosni Mubarak. Rakha’s debut novel, was published just two weeks before Mubarak left the stage and challenges the contemporary trends of Arab literary production by “initiating a discourse”, to use writer Anton Shammas’s words. An award-winning writer of fiction and non-fiction, Youssef Rakha is a senior editor and reviewer for Al-Ahram Weekly. His blog, The Sultan’s Seal: Cairo’s Coolest Cosmopolitan Hotel, showcases not just his work but also photography, poetry, and essays by other Arab and non-Arab contributors. You said that the original version was written in a made-up medieval sounding Arabic and that you used various registers of this invented language. Who or what were you inspired by? Did it take you a long time to forge this language and was it an enjoyable process? In the English translation many of these nuances were inevitably lost, but the names in the original text were not Ottoman, is that right? 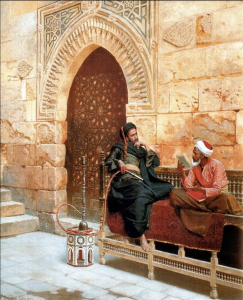 Ottoman Turkish used the same script as Arabic with some letters modified to render non-Arabic sounds. And that’s how the names were spelled in the original, yes. You could say the whole book, spelling-wise, is written in Ottoman Turkish, which is why it made sense to spell the names using modern Turkish in the English edition. You had Paul Starkey as your translator into English. Are there any particular languages that you would like to see your novel translated into? And is the book being translated into any other language? It’s being translated into French, by Philippe Vigreux, which is wonderful, and there has been talk of a German translation as well. I was hoping to see it in modern Turkish, which is the one language it has a direct connection with and in which it might be possible to convey the complexities of the text perhaps. It would be fascinating to see how it is received in Turkey, what Turks of my generation might make of it. This book was published in Arabic in 2011, a few weeks after Egyptian president Hosni Mubarak stepped down. The book, though, was written over a period of three to four years previous to the political events that took place in Egypt. Did you foresee the end of an era or should your book not be read as collective history? No, I think it definitely should be read as collective history and in the context of what was to come – especially in the light of political Islam’s brief stint in power, which was deeply disturbing to me. In Cairo, however, after the events, a lot of writers started pointing to works they’d written in the previous few years and claiming they’d prophesied the revolution, which I thought was a cheap exercise in self-promotion. That’s why I was always careful to point out that, no, I hadn’t had any idea, while I was writing, that what happened in 2011 would happen. But this doesn’t mean that, in being a portrait of Cairo in the first decade of the 21st century, the book isn’t also a statement on the way things were directly before the revolution. Given its many-layered interest in history, I think it definitely works as a pre-Arab Spring document, a reflection on the difficulties and dilemmas that subsequent events exploded, and in this sense a means to make sense of them. The Book of the Sultan’s Seal is, with The Crocodiles, part of a trilogy that has at its centre the transformation of Cairo. The third one, Paolo, has just been published in Arabic and Robin Moger is translating it into English. Is that correct? No, The Book of the Sultan’s Seal is its own project, complete in itself. The Crocodiles is the first book in a trilogy on the Arab Spring, of which Paolo is the second part. Robin Moger is almost done with Paolo, I think, so fingers crossed it should be published in English soonish. You said you are also writing something in English. Can you give us a hint on what it’s going to be about? I am writing my first novel in English, which is a truly challenging and exciting experience. But because this is entirely new territory and because I’m trying out different things I’m still not entirely sure what it’s going to be. First, I thought it was one thing, now I think it’s another. All I know for sure is that it will involve the history of Egypt from Nasser’s rise to power in the fifties to the Arab Spring, and perhaps try to explain the failure of the latter to achieve genuine or lasting change. You have said it is difficult to be a secular Muslim Arab in Cairo these days. I found this to be a particularly interesting point, as this seems to be an issue for many Muslims in the UK, too. Could you say something about this? A more or less reductive notion of collective identity is written into the neo-liberal zeitgeist, so it’s only natural that in a “democratic” age, a “Muslim society” should be expected to seek political representation with self-appointed guardians of Islam like the Muslim Brotherhood or whoever (or like a Muslim Briton clinging onto the surface anachronisms of religion as a way of asserting his/her difference within British society). In addition, in Egypt there is the influence of Wahhabism resulting from the economic hegemony of the oil-rich Gulf. 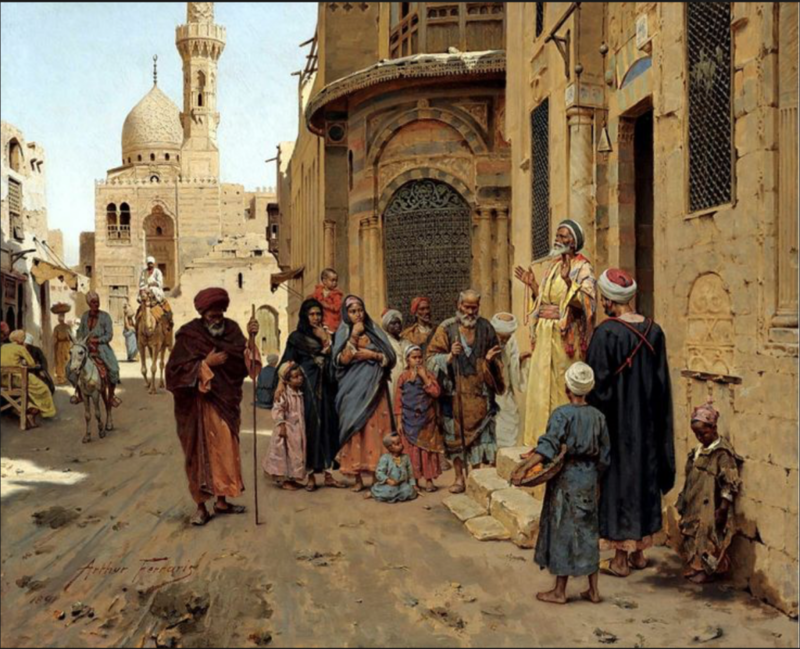 Before the 1970s and, even more so, during the earlier so-called liberal period under British occupation, you could probably say that Cairo was a more secular place or at least a place more friendly to secularists and more amenable to multiplicity. For anyone with a truly contemporary outlook, who doesn’t suffer an obsessive sense of inferiority vis-a-vis the dominant civilisation – even a believer – it can be a problem to live normally in a public context or to give voice to honest ideas about the dominant value system. People can be ostracised, if not killed, and the paraphernalia of the state and the legal system can be deployed against them. The world has been lamenting the fate of religious minorities in the Arab countries, but the Arabs’ most endangered minority are the true secularists, who remain unable to assert themselves. It’s sad because I think they are these societies’ only hope. It is they who are in a position to envisage a way out of the civilisational crisis. They are less interested in sectarian civil war and genocide than a realistic dialogue with collective desires and fears. If you could bring some order to Egypt today, what place do you think Islam should have? I don’t think that’s the right way to think about it. The question is rather why is it that so many Muslims are so terrified of losing or compromising their religious identity, if it is an identity they already have and if it is worth having in the first place. I think there are many wonderful things in Islam, and some of those things come up in The Book of the Sultan’s Seal, but almost all of them are dying out because the increasingly Wahhabised religious status quo does not perceive them as sufficiently orthodox. But I think if it means something to be a Muslim beyond sectarianism and pre-modern barbarity, then one of the things it ought to mean is that you’re able to unproblematically let someone else be a non-Muslim, to feel confident and peaceful enough to let other people live the way they want to, even and especially if they were born Muslim and you expect them to agree with you. In real life you work as a journalist for what is perceived as a pro-government newspaper, but your ideas are not quite in agreement with the government. How do you find a compromise? There has never been such a clear-cut duality between pro- and anti-government institutions in Egypt, at least not in my time. Many “oppositional” private newspapers are even more sycophantic vis-a-vis the powers-that-be than their “national” government-supported counterparts. Besides, both the cultural-intellectual sphere in which I specialise as a journalist and my department of Al-Ahram – having been conceived as a pro-democracy, English-language façade – have always been allowed to voice more or less what views they will. When I went to work in Abu Dhabi, for example, I was staggered by the level of censorship imposed on English-language journalism by comparison. By and large, the real problem with the press in Egypt is incompetence. It is something one struggles not to get too used to, and it forces you to work in isolation. The compromise I do make is that of juggling the work I want to do – my writing and my website – with the work I have to do to survive financially. The final chapters of the book contain some very explicit descriptions of the love affair between Mustafa and Claudine. Ahmed Nagy’s ‘incriminating’ pages are nowhere close to your level of explicitness, in my opinion. You don’t seem to be very worried about the censor. What are your thoughts on that? The case of Nagy is actually unprecedented. People used to go to jail for “contempt of religion”, but that was rarely in the context of literary work. The worst that could happen would be the banning of a book, or some illegal, usually violent intervention by extremists. Technically, of course, it’s for a newspaper “article”, not a chapter of a novel that Nagy is being legally punished. That doesn’t mean that I, and dozens like me, aren’t devastated and terrorised. As I said at the Waterstone’s event, I might refrain from publishing something – at least publishing in Egypt as opposed to Lebanon or wherever – but it’s not going to stop me from writing what I want to write, of which erotica and obscenity have been part. I have no reason to be worried at the personal level, at least not yet, and censorship in itself doesn’t scare me. It tends to be extremely effective advertising. What scares and upsets me is the fact that you can now legally go to jail for something you’ve written in Egypt. The terrible spectacle of a society and a culture so nonchalantly committing suicide.